These charming illustrations depict a pair of graceful geese at home in their own private pond. You've probably heard that geese live in permanent pairs throughout their lives. That's what makes them a rather romantic bird. 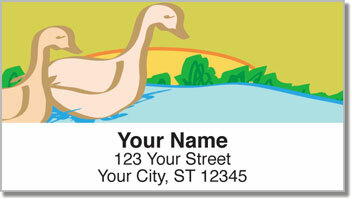 Geese Address Labels from CheckAdvantage are a heartwarming way to mark all your letters and packages with a little bit of extra love. 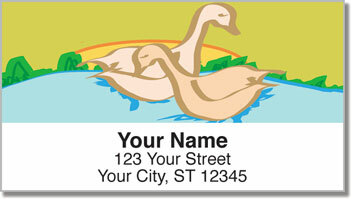 It will also be extremely easy to prepare outgoing mail when you start using your new labels. They have a self-adhesive backing that lets you simply stick them in place! 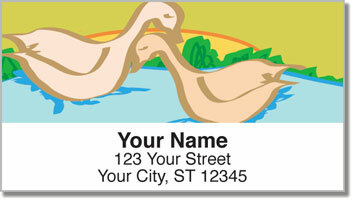 Order your own Geese Address Labels today! 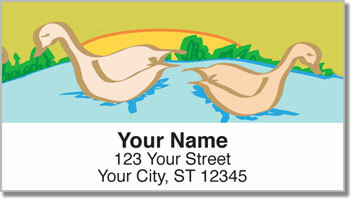 We also offer this selection in a set of matching personal checks!